Founded in 1997 Mark Smith Glazing has earned a deserved reputation for quality craftsmanship, competitive and transparent pricing, reliability, and a positive approach to problem solving alongside a sensitive attitude to client priorities, whether working for private home-owners or commercial clients. Above all, Mark Glazing has a dedicated, experienced team to back up this reputation. Mark Smith Glazing Group are also unique in the industry as we offer our own “Mark Smith Glazing Services”, this allows us to control and set a high standard in the products that we offer to our customers. Having expanded in 2006 through purchasing our sister company Mark Smith Windows (previously J&B Windows). Our products include uPVC Windows and Doors and Conservatories. Mark Smith Glazing are happy to quote for jobs across the UK of any size and are able to meet all enquiries with a fast and efficient response. Please get in touch to discuss our products or for a free no obligation quote. At 5gi.uk Ltd we have years of experience and knowledge in fitting uPVC, Triple and Double Glazed Windows and Doors and Composite Doors for the Home and Workplace. We are based in East Lothian and cover Edinburgh and all of the Lothians but willing to travel further afield so all enquiries welcome. Our windows and doors have all gone through vigorous testing for things such as quality of materials, strength, durability, security and energy efficiency. Furthermore, they all carry the British Standards Institute Kitemark, are rated ‘A’ for energy efficiency and come with a 15 year product guarantee, giving you extra piece of mind. You will receive honest and comprehensive advice and information on all work involved in fitting new windows and doors. You will have the chance to discuss your needs, wants and ideas in an initial consultation with us in your own home where we will survey and measure all areas to be worked on. You will be given options based on your budget and not based on profit to be made, if you don't have any particular styles and designs in mind we can help you narrow it down to ensure that the end result is a happy result for you. When hiring 5gi.uk you can have peace of mind in the fact that all work shall be carried out efficiently and professionally by our vetted and insured windows and door fitters. What can specialist window companies, glaziers or window fitters in Edinburgh, City of Edinburgh do for me? Specialist Edinburgh, City of Edinburgh window companies and fitters can diagnose problems and prescribe a choice of remedies, while keeping in mind factors such as the style of your property, ease of operation, budget, noise reduction, thermal efficiency (the lower the U-value, the better), durability and maintenance. It is a balancing act that only a glaziers can deftly strike. Most Edinburgh, City of Edinburgh window companies will be able to take care of both supplying and fitting your new or replacement windows, but if you have already purchased your windows from a window manufacturers then you can find an Edinburgh, City of Edinburgh fitter to just take care of the installation. 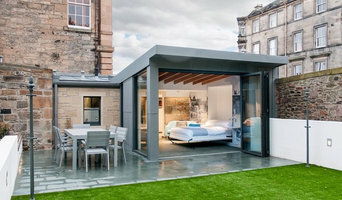 Where can I find the best choice of Edinburgh, City of Edinburgh window manufacturers and window installers? Right here on Houzz. Look for Edinburgh, City of Edinburgh Windows & Double Glazing professionals in the Find a Pro category and then save images of window styles you love in an Ideabook. Take time to look through each window company’s profile and get a sense of where their strengths and specialisms lie. Make sure your window manufacturers’ work comes with accreditation: whether from FENSA (Fenestration Self-Assessment Scheme), FMB (Federation of Master Builders) or TrustMark. Find window companies and glaziers on Houzz. 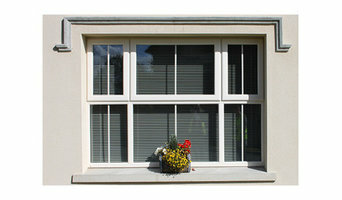 Narrow your search in the Professionals section of the website to Edinburgh, City of Edinburgh window companies. You can also look through Edinburgh, City of Edinburgh photos by style to find new and replacement windows you like, then contact the glaziers, window manufacturers or companies who installed them.